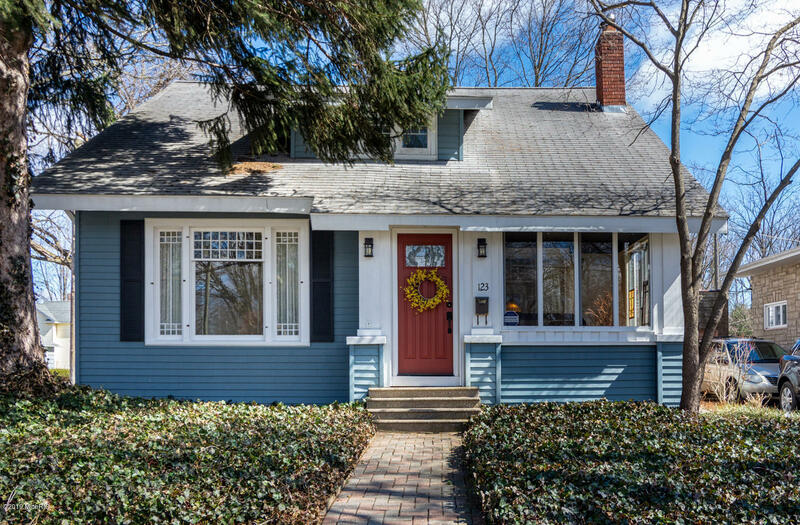 So much charm in 1920's Bungalow craftsman home. It has a solid built, flawless feel from the moment you walk in. With gorgeous woodwork, beautiful beveled windows, original hardwood floors throughout. Offers large rooms and an open flow between the kitchen and the dining room. Gas fireplace in the family room with separate living room. Great enclosed front porch. Such a great floor plan and offers so many extras features such as built-in bookshelves and dressers, custom blinds, security system, generator ready. With 4 bedrooms, 2 full baths that have been updated with subway tile, custom glass shower & granite vanity. Full basement has a workshop area and tons of storage space. This truly is a must see.